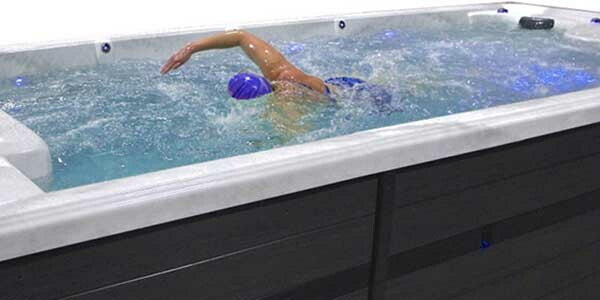 PDC Swim Spas are made right here in the USA, focusing on reliability and efficiency. Exercise can be fun with a home exercise spa. Whether you want to start a new exercise routine or just like to swim, a home exercise spa is an excellent way to workout while at home. Offering the ideal combination of hydrotherapy and aquatic fitness in two different series, the “green-minded” technology of PDC Swim Spas are the perfect enhancement for your yard or in-home gym. 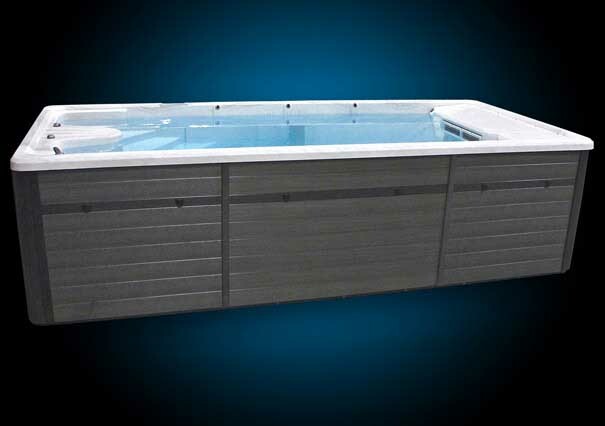 Swim spas by PDC, are made in Pennsylvania of the highest-quality raw materials available. Swimming is one of the best whole body fitness activities that you can participate in. But getting out to the pool, especially on a cold winter day, can be an insurmountable obstacle. PDC swim spas feather innovative energy saving technology and features and a running cost of roughly $1.50 a day. So you can focus on your workout and your body’s increasing sense of well-being, without experiencing a pain in your bank account. And just like your Aspen Spa, your swim spa is enhanced by a stunning shell, classic cabinet and heat-trapping cover, as well as optional PermaWood steps. It also comes with a multi-colored LED Highlights Lighting™ system, optional LED Eclipse Lighting™ and a BlueTune™ music system. 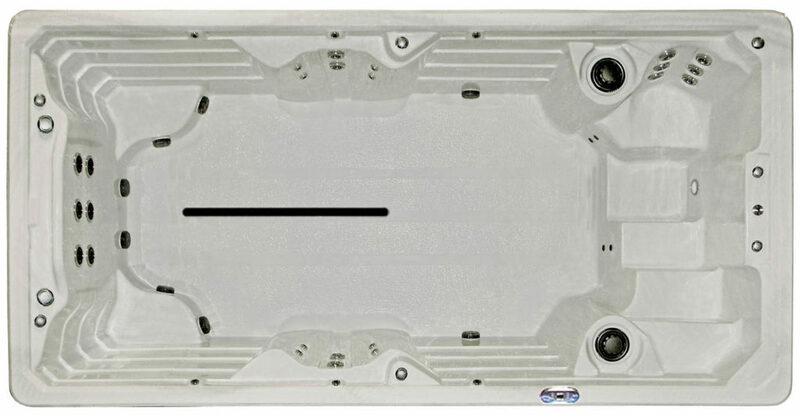 Contact Aspen Spas today for more information about swim spa installation and accessories. Water sports are incredible – they manage to work out the entire body while simultaneously being low-impact. This unique combination makes them ideal for all age groups and fitness levels, while also serving as a powerful rehabilitation tool. An exercise pool does not always have to be used for exercise. Use your home spa as a therapy pool, as the place you relax after a long day or to play a game. All PDC swim spa models are spacious enough for various water sports and aquatic fitness activities, including swimming, jogging or walking and weight training. And after your workout is complete, you can soothe your tired muscles with one of the massaging seats or columns. 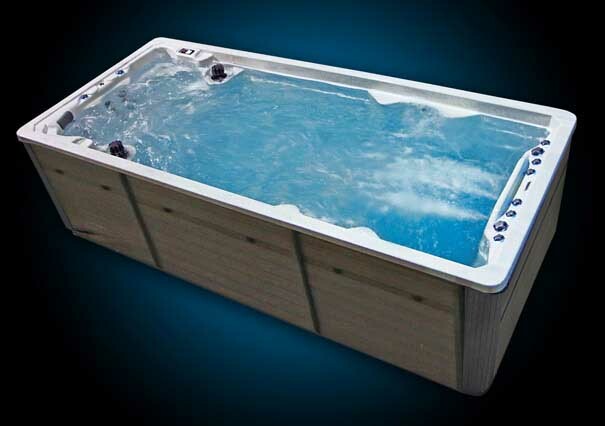 Whether you’re a dedicated athlete or a recreational swimmer looking for a more leisurely experience, Aspen Spas has a model to meet your needs. Choose from one of the four TruSwim™ Series swim spa models. TruSwim swim spas are support you in the quest to live healthier and better. Be sure to reach out to Aspen Spas of St. Louis or to visit our showroom for more information about the benefits of the TruSwim™ Series from PDC Spas. 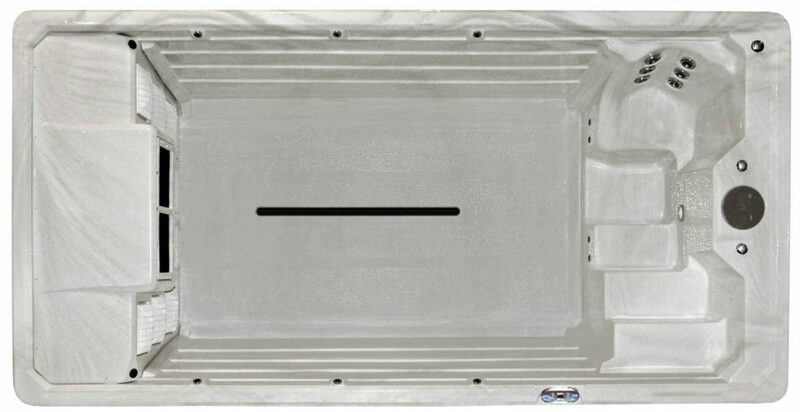 Five separate hot tub seat zones let everyone customize their TSX219 experience. Capacity: 2,525 gallons, 9,558 l.
Dry Weight: 2,735 lbs, 1,240 kg. The space-saving TSX15 offers endless options for a healthier year-round lifestyle. Capacity: 2240 gallons, 8,479 l.
Dry Weight: 1,905 lbs, 864 kg. With its dual-use space, the TSX17 accommodates your goals for fitness and fun. Capacity: 2,420 gallons, 9,160 l.
Dry Weight: 2,045 lbs, 927 kg. Cool down and unwind with the hydrotherapy seating offered in the TSX19. Capacity: 2,700 gallons, 10,220 l.
Dry Weight: 2,250 lbs, 1,020 kg. With Synergy™ Series swim spas from PDC Spas and Aspen Spas of St. Louis are ideal for a healthy, beneficial exercise experience that is both challenging and rewarding. Whether you are an athlete in training, a fitness enthusiast, or are looking to get in shape, installing a PDC Swim Spa is a great addition to your lifestyle. For additional information about sim spa installation and the Synergy™ Series swim spas from PDC Spas, we encourage you to visit the Aspen Spas of St. Louis showroom. 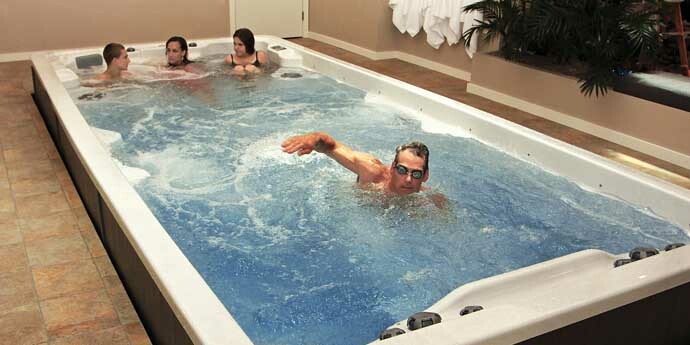 Super-size your spa experience with the FX219 all-in-one swim spa and hot tub. Capacity: 2,425 gallons, 9,186 l.
Dry Weight: 2,174 lbs, 986 kg. Exercise or simply unwind in the surprisingly roomy FX15. Capacity: 2,140 gallons, 8,101 l.
Dry Weight: 1,645 lbs, 746 kg. With its longer barrier-free fitness area, the FX15s offers swimming at its finest. Capacity: 2,240 gallons, 8,479 l.
Fitness and relaxation go hand-in-hand in the comfortable, contoured FX17. Capacity: 2,420 gallons, 9,161 l.
Dry Weight: 1,784 lbs, 809 kg. With ample space for aquatic exercise, the FX19 is a fitness enthusiast’s paradise. Dry Weight: 1,900 lbs, 861 kg. Exercise or relax from the comfort of your own backyard or fitness room. 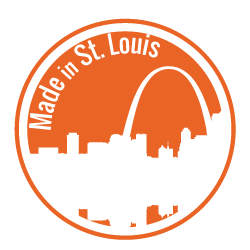 TruSwim™ and Synergy™ PDC swim spas are available at Aspen Spas of St. Louis. For more information about swim spa installation and accessories, Call us today at (314) 328-6008 or stop by our showroom.